Darryl Robinson is the Executive Vice President, Chief Human Resources Officer for Dignity Health. He has served our ministry for nearly six years. Darryl generously matched gifts from employees toward the system office employee giving campaign as part of #GivingTuesday 2018. How did you come to lead human resources at Dignity Health? I was born and raised in Detroit, Michigan. Despite negative misconceptions of the city, I’ve always been proud to be from Detroit. I know first-hand about the sense of pride, family, and community within that city. I am one of four boys in our family. My mom and dad were hard working blue collar workers. My dad is a Marine Corp veteran and worked as a mailman, and mom worked at the post office. They both worked very hard to provide a middle class upbringing for my brothers and me. My mom had foresight to send us to good schools. Catholic schools. She believed education was important and their sacrifice to pay tuition would benefit us in the long run. They were right! We moved across town so they could own their first home, looking for areas that afforded the best educational opportunities. My brothers and I were blessed to attend an all-male Jesuit high school in the city of Detroit, the University of Detroit. Founded in 1877, the graduates from U of D high school go on to be prominent doctors, lawyers, judges, actors, artists, politicians, and dentists. We come from a tough city and from very humble beginnings and I’ve never forgotten that. We’ve done well. I believe much of that is because of family, community, and an outstanding education. My oldest brother is recently deceased, may he rest in peace. 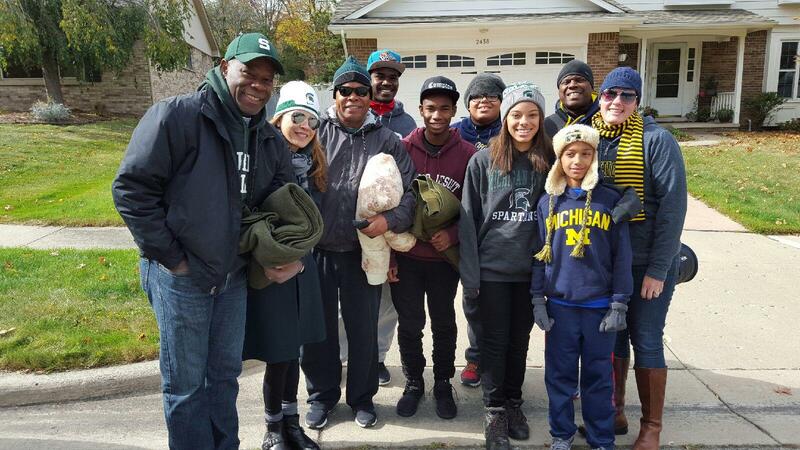 The next oldest is an assistant attorney general for the state of Michigan’s Detroit Metropolitan Region. My youngest brother is a technical support operations manager at Ford Motor Company. I have always been in human resources – for 37 years now. My teams and I have done some amazing things over the years. But now, my motivation to give to others has never been greater. I thought wouldn’t it be great to give back to a faith- and values-based organization that cared for others. I found Dignity Health at the perfect time in my life and to work alongside Lloyd Dean, the dedicated executive leadership team, and Dignity Health board members, is a bonus. I’m just delighted to be able to serve. Honestly, I never, aspired to be a chief human resources officer. I just wanted to do good work and to honor my parents and their sacrifices. One day I realized that there were some HR leaders who were not advancing the profession, not delivering the value that good companies and their employees deserve. So, that’s when I opened myself up to doing more, leading more, being more! Why do you choose to give through philanthropy and how do you support Dignity Health through employee giving? My first experience with giving was at my first company after college. I got a United Way card at orientation and they told me to put myself down for 1 percent. Everyone contributed 1 percent. I gave, but begrudgingly. So, three years ago, I accepted a role on the board of trustees. Its new president recognized the decline in college prep student readiness in the city. He launched a program called Commitment Detroit and my family and I made a major contribution to get the program launched. If I can do it again, I will do it again. They helped me so much. If an individual can go to that school and persevere through its academic rigors, they become leaders. I think that’s an investment worth making. 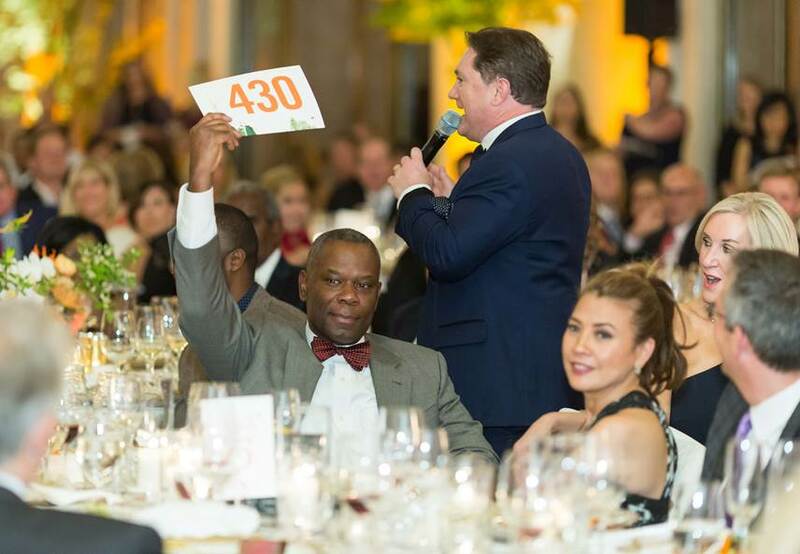 When I joined Dignity Health, I went to our first Humankindness Gala and I saw what we’re doing for postpartum depression, human trafficking, concussions and I wanted to give to those causes as well. Giving is in my heart, I suppose! I think that everybody has the gene, that’s calling within them, which moves them to give. That should come forth. Whether through a kind word or deed, we all have a chance to make a difference. I’m very mindful that others paved the way for me. Deep down, I think we all know that about ourselves. We should all appreciate and reflect that each of us didn’t do this all on our own. Giving back recognizes that. But you have to reach that conclusion yourself. Goodness, humankindness, is within you. Someone helped to instill in your heart that which is important. You can do it by just being kind. And, if you can be kind and also provide support – do that, too. If you can provide support and also give money or volunteer – do that, too. It’s for the good of humanity. It starts within. Find that inside of you. I have a real love for ice hockey. I started playing when I was 9 years old. There’s something about being on ice, competing, feeling the cool air on your face – it’s liberating to me. Growing up, I played in nearly every rink in Detroit. I have a passion for it. The finesse, agility, power, and grace, along with some risk. It’s the best. I’ve met tremendous people on the ice. I still play ice hockey today.